Kenya may not yet be ready to embrace Meatless Mondays, but perhaps we could do our green part by re-directing our passion for nyama choma (chargrilled meat) towards mboga choma (chargrilled vegetables) and healthy charcoal-baked treats? Because as it is now, due to our excessive demand for meat, dairy and eggs, we are using larger amounts of land, water and plants to raise animals. What we get back from the animals and factories are dangerous levels of toxic wastes like CO2, methane and greenhouse gases that are threatening our planet. We are also seeing higher rates of obesity, diabetes and chronic diseases as a result of such heavily processed diets. The best road to health and to a happier planet, according to renowned nutrition experts like Michael Pollan and David Wolfe, is through a primarily plant-based diet (less meat, more vegetables, fruits, legumes and whole grains). Most of us seem to know this, but change has been slow. Time to speed up the momentum. Designed for domestic and commercial use, and range from 9,000 ksh to 50,000 ksh. CAMPERS AND SAFARI FANS: Get a mini bachelor or ultimate safari oven and fire it up in your truck before you head out. Stick in your pizza or a banana bread made from local ingredients, and your treats will be ready by the time you reach your destination. 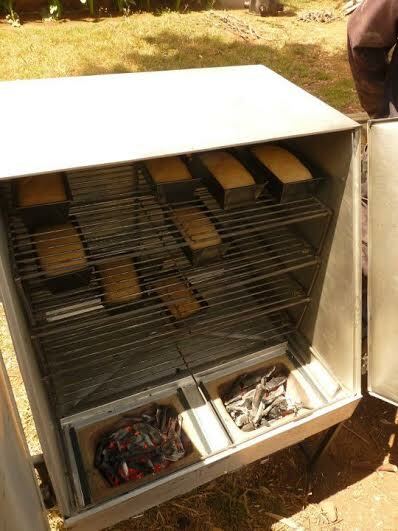 ENTREPRENEURS: Thanks to these convenient and portable ovens, the home-baking business is exploding in Kenya, particularly among local women in rural areas. The Medium 3 Level and Medium 4 Level versions are perfectly suited for these purposes, and for family cooking too. BIG BUSINESS: The heavy duty business oven for larger restaurants, safari camps and busy bakeries can bake up to 22 loaves of bread and uses between 5-7 handfuls of charcoal per hour. Minimize those carbon footprints while chargrilling delicious foods for many. 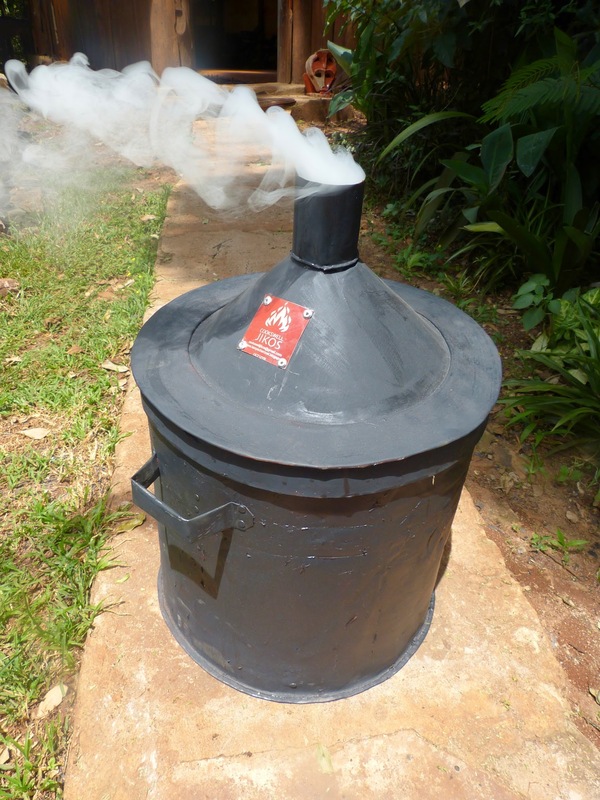 The general word on charcoal is that it leads to deforestation and causes pollution from smoke. Cookswell owner Teddy Kinyanjui explains that good quality charcoal can be smoke free and a clean renewable resource. 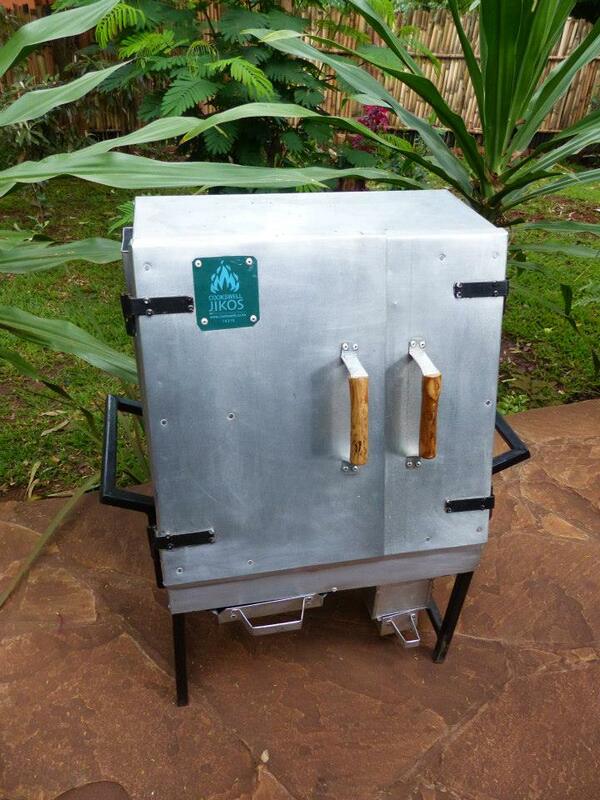 For instance, Cookswell’s kiln kit produces charcoal from branches, maize cobs, bamboo and coconut. The kit also comes with indigenous tree seeds to invest in future trees (and charcoal kiln) that grow within 5-7 years of planting. Test any one of these fifteen delicious paleo banana bread recipes in your Cookswell. And use our incredible local vegetables to make Jamie Oliver’s chargrilled marinated vegetables. Amazing post Tasleem ^_^! Yay for Cookswell. Thanks as always Maureen for introducing me to Cookswell! Interested ! Where can we take a look at some of these ovens ?